Cancer Crossing: 'Cancer Crossing' makes McNally Robinson's WINNIPEG BESTSELLERS LIST!! 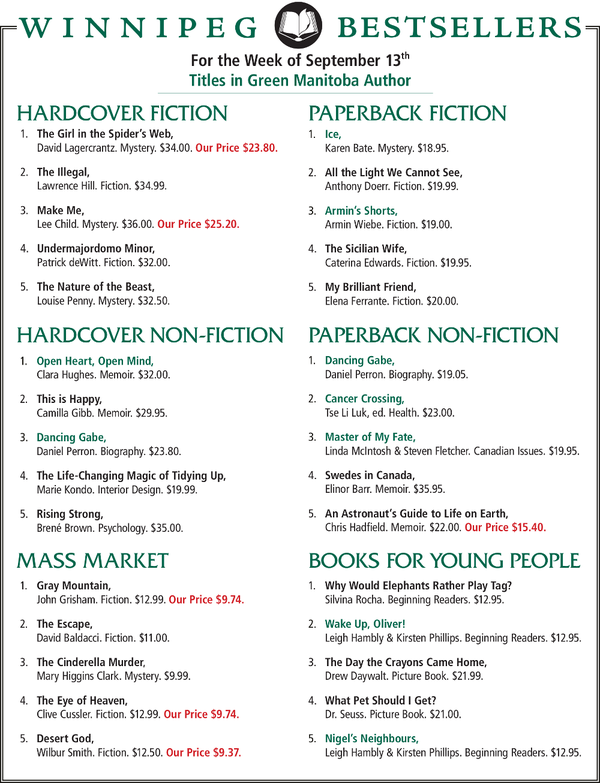 'Cancer Crossing' makes McNally Robinson's WINNIPEG BESTSELLERS LIST!! GREAT NEWS! 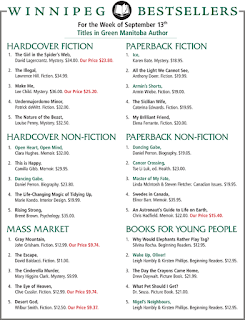 'Cancer Crossing' made the McNally Robinson WINNIPEG BESTSELLERS list for the week of September 13, 2015! Thank you everyone for your support! Books are still available at McNally Robinson for $23, hurry on down for your copy and please let your contacts know about our project as well! HOPE YOU WILL BE JOINING US SUNDAY, SEPT 13TH! !